Tetsuya Bessho debuted in Hollywood in 1990 with the US-Japan joint film "Solar Crisis." In recent years, he has performed in stage productions of "Les Miserables," "Nine the Musical," and "Urinetown." 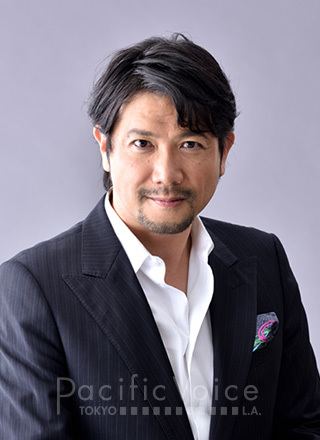 In 2010, he received the Iwatani Tokiko Award Encouragement Prize from the Iwatani Tokiko Foundation. He founded Short Shorts Film Festival & Asia in 1999, which he remains the president of, and received an award from the chief of the Agency for Cultural Affairs. He has also assumed the position of "Visit Japan Ambassador," part of the Japan Tourism Agency initiative, and is a member of the expert panel to strengthen content at the Cabinet Secretariat’ s Intellectual Property Strategy Headquarters, Goodwill Ambassador to the Qatar Friendship Fund, City of Yokohama Committee Member, and EIRN(film classification and rating committee)commission of councilor. NTV "Asu Mama ga Inai"
CX "ONNA KYOSHI SAWAKI KEIKO 2"
TBS "Drama box / RUIOKU"
NHK Japan-Australia Collaboration "HIMITSU SHIREI SENTAURI OUGON GACHOU NO DAIDASSOU"
TX "EIGA MITAINA KOI SHITAI /GOD FATHER"
CX "YO NIMO KIMYONAMONOGATARI / BLACK MAGIC"
CX "LOVE STORYWA TOTSUZENNI / SUTEKINA BOY MEETS GIRL"
TX "EIGA MITAINA KOI SHITAI / NEMURENU YORUNI"